Adult-only Astoria cruises from smaller ports of England including Poole, Portsmouth and Hull. 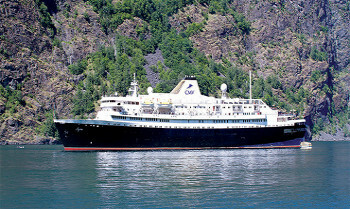 Short cruises of one to three nights are great for a quick break or a taste of the child-free ship, while longer cruises of up to 14 nights can have you completing an in-depth exploration of the British Isles, a discovery of the majestic landscapes of Norway, a tour of the great coastal cities of the Baltic or even to breathtaking Iceland. 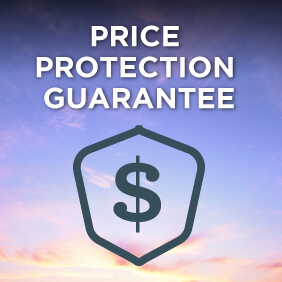 View all Astoria cruises or view more options for Cruise & Maritime Voyages. With her handsome profile and a traditional walk around promenade deck, the 16,144grt Portuguese registered Astoria is a classic beautifully restored ocean going cruise ship carrying just 550 guests and offers a wide selection of very well appointed and comfortable pubic lounges and cabin accommodation spanning eight passenger decks serviced by two lifts. Her enhanced facilities include the impressive two sectioned Olissipo Restaurant with an alternative buffet dining option in the Lotus lounge, a choice of five comfortable lounges and bars including the Calypso main show lounge, plus a nightclub, cinema, casino, shopping boutique, photo shop, library, card and bridge room, fitness and health centre with sauna and massage facilities, an unheated outdoor swimming pool and a beautiful marbled reception area. A majority of cabins enjoy an ocean view and all the private en-suite cabins have a bath with shower, a hairdryer and personal safe, a TV for movies and news and information channels and a fridge with a mini bar facility. There is a wide selection of twin bedded and double bedded cabin categories and designated singles, the majority of which enjoy an ocean view. Plus, there are also more luxurious de luxe cabins, junior suites and spacious balcony suites and a splendid owner’s presidential suite. Our ships have some great entertainment on board, from show teams to pianists to disco. Why not start your evening with a pre-dinner drink and enjoy some of your favourite melodies? Our resident musicians invite you to sit back, relax and enjoy conversation with new friends about another wonderful day ashore. Learn more about a fascinating subject from someone who is passionate about their interest and will want to share their knowledge and enthusiasm with you. CMV cruises of five nights or more are accompanied by one or more of these experts giving informative talks or practical sessions on a range of fascinating subjects. These speaker subjects may include maritime history, broadcasting, gardens and even criminology! They are generally programmed to take place during days spent at sea rather than in port, so that you won’t miss out. 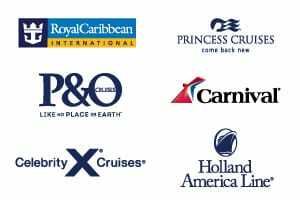 On selected cruises we feature our light hearted ‘Audience With …’ where you are invited to listen to an invited guest speaker or performer talk about their life experience and expert knowledge interspersed with questions from you, the audience. This offers you a great chance to become involved and be a part of the fun. Our audiences love them, we hope you will too. With Arts and Crafts growing in popularity, we are including sessions on all CMV cruises of five nights or more. Specialists will be delighted to demonstrate their talents replicating many of the growing number of new crafting skills now witnessed on dedicated TV channels. These may include millinery, bead jewellery, mosaic decoration, calligraphy and decorative card art. You may need to buy materials on board which will be supplied by the crafter for a modest charge. Following dinner the show team would enjoy the pleasure of your company in the comfortable Show Lounge as our artists display their talents in a stylish show – all you need to do is just sit back and enjoy. Our speciality acts and guest entertainers complement the show team to ensure that your evenings go with a swing. For a little night music, we have different combos around the ship, including classical interludes with our resident pianist and violinist, who will play for your listening pleasure. If however it is quieter pleasures that you prefer, how about a few hands of cards or making up a table for a syndicate quiz. When at sea, you may choose from a work-out in the gym; a make-over in the beauty salon; a swim in the pool; deck games or join in a quiz. There’s always something going on..
From the moment you step on board, the choice is yours to join any of the many activities on offer or simply enjoy the luxury of being able to do absolutely nothing. The ship’s daily programme will be delivered to your cabin each evening, outlining the events of the following day. Maybe join the fitness team on the Sun Deck for a jog or a walk, yoga or an early game of deck chess. Later in the day, perhaps listen to a speaker or learn a new skill from one of our arts and crafts specialists. And, on those sunny tropical days, relax by the pool with a good book and perhaps a refreshing cocktail. The beautiful Oasis beauty, spa and wellness centre offers facial treatments, massage therapies, body treatments, hair styling, hand and foot care, an indoor swimming pool and sauna. In addition, there’s a fitness centre on Bridge Deck next to the Sun Terrace. And when the sun goes down in the evening, pre-dinner drinks are served on the Sun Terrace with the view of the ocean and the Captains Club where your favourite drink is ready for you. Nothing whets the appetite like sea air and a leisurely dinner with mouth-watering food and good company is without doubt one of the highlights of the day. After dinner, the highly acclaimed entertainment team invite you to join them in the Astor Lounge where they will display their talents in a colourful big show, and late night cabarets will ensure that your evenings keep going with a swing. Alternatively, enjoy music from our resident pianist or a game of cards with new found friends. And when you decide to call it a night, your comfortable stateroom is just a short stroll away. Food is always one of the many highlights of cruising. Whether you are enjoying a pool deck buffet, a relaxed lunch in the Übersee Club or dining in the magnificent Waldorf Restaurant, our superb chefs on board Astor will not disappoint you. You will also have the chance to dine in the intimate Admiral’s Salon (Asian Fusion Cuisine) or the Commodore’s Salon (Italian/Mediterranean Cuisine) dining rooms at a small additional charge.